I’m always thankful I get to live in one of the unsung wonders of the world, the Willamette Valley. 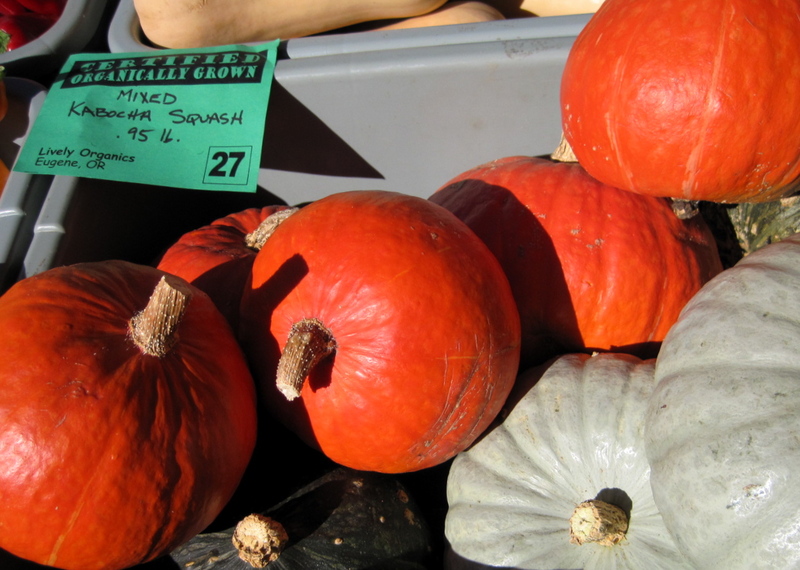 As fall begins, however, and the warm weather crops start to produce their best offerings — huge heirloom tomatoes, thick-walled ripe peppers, shelling beans, bags of sweet carrots, little pie pumpkins and the first of the winter squashes — I am astounded by the bounty of Western Oregon. Our houseguests are in the middle of a long camping trip up and down the Pacific Coast, so we all went to the Saturday Market with an eye on vegetables that can be dehydrated. Needless to say, my house has turned into dried vegetable and beef jerky central, punctuated by nightly feasts of fresh produce in delicious meals. We’re fortunate to be joined by three marvelous cooks, two of whom cook professionally for a research station in the middle of nowhere, and one professional science writer/photographer. 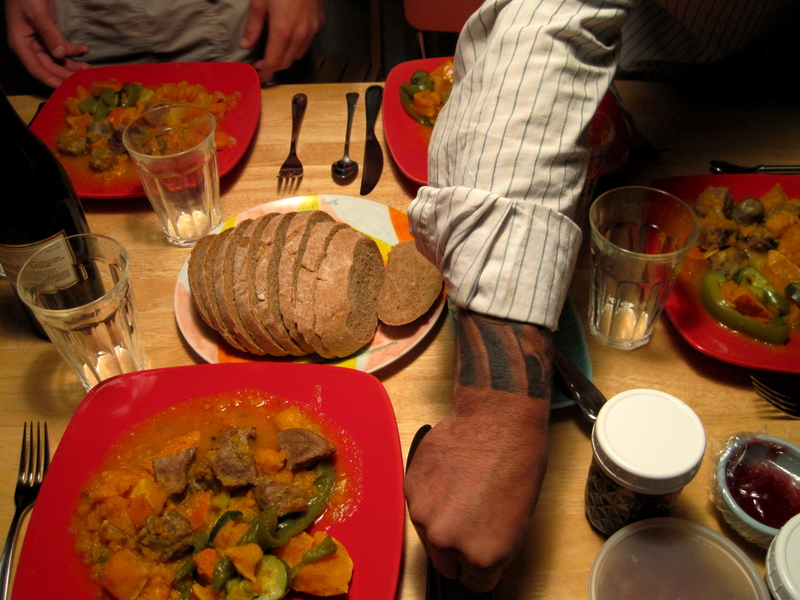 It was kind of nice to sit back and let someone *else* take pictures of dinner before we ate it, ha! It’s the foodie version of grace. Fall in the Willamette Valley. Nope, can’t complain! 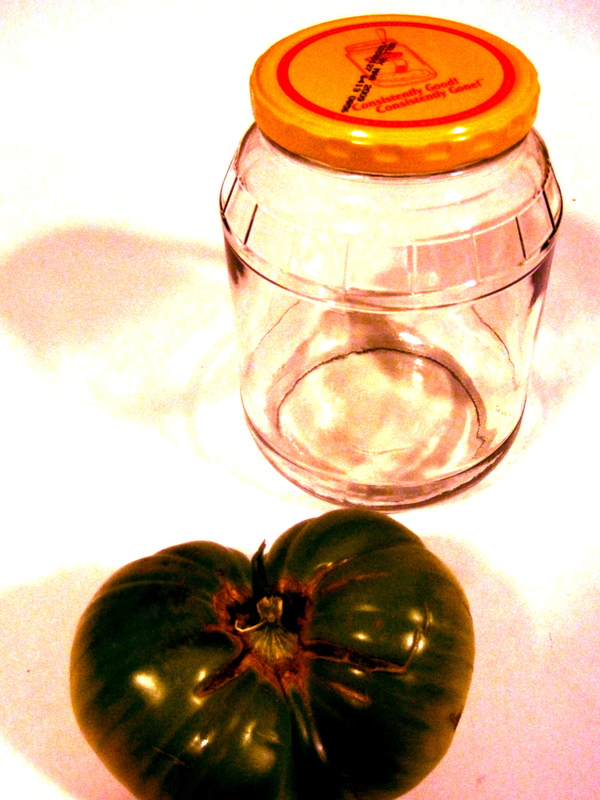 The OSU Extension – Lane County Master Food Preservers are offering another monthly demonstration class series on preservation techniques! This one will be held at Hartwick’s kitchen store in the 5th St. Market (296 5th Ave., Eugene). To register: 541-686-0126. Hartwick’s has a beautiful demonstration kitchen, and classes are limited to 12 people, so you can really interact well with the instructor. The classes are in the evenings from 6-8 p.m., and they are offered at the very reasonable price of $30 — not as dirt cheap as the ones we offer at the Extension building, but still a bargain, given that similar classes are offered in Portland for $75-200. The first class is on September 30, and will feature apples: applesauce, apple pie, apple/tomato chutney, dried apples, and apple butter. In October, we’ll show you how to use up “harvest” products, including pumpkins, corn and apples. 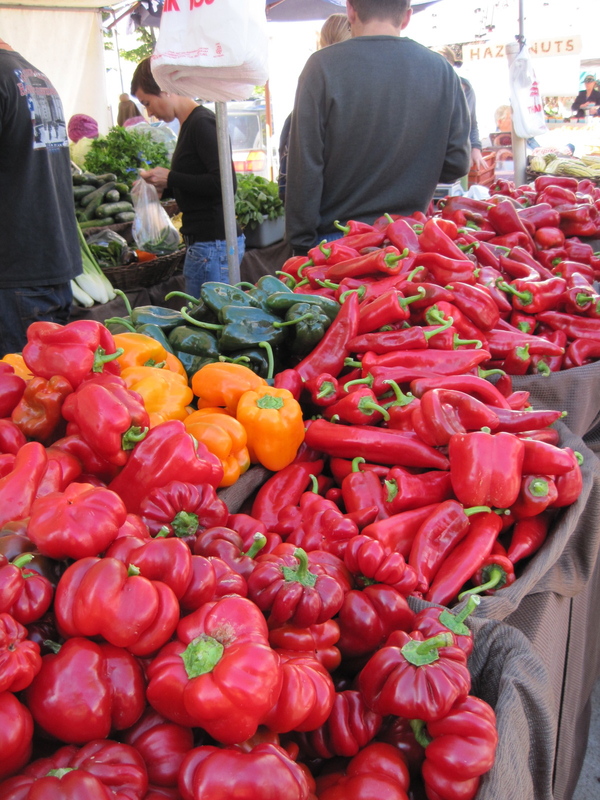 November’s class will feature Thanksgiving condiments — ways to spice up your holiday meals. I’ve posted the dates and times for the October 21 and November 18 classes to the right. Sign up early to reserve your spot! 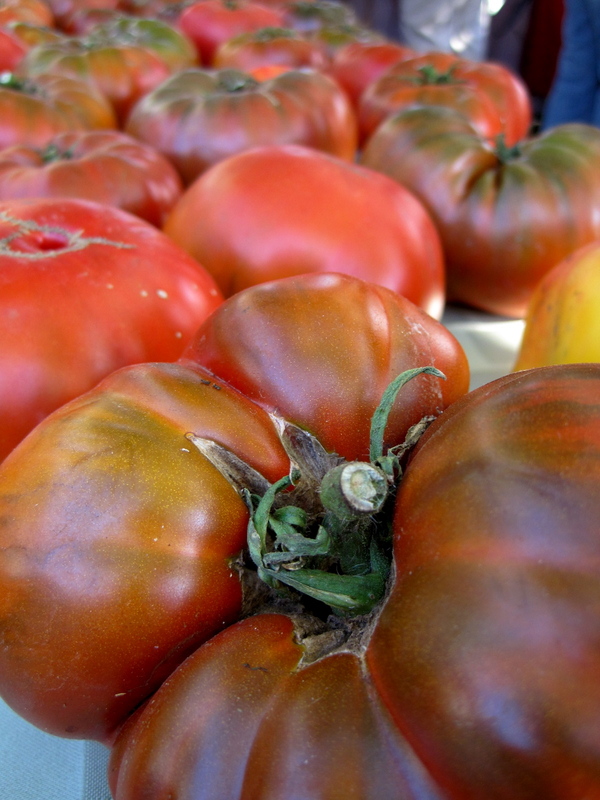 Call ’em plum, paste, or roma tomatoes. Don’t like ’em. Seriously. Has there ever been a less flavorful tomato? I grew Saucey (yes, with an annoying ‘e’) last year, and I liked them better than the others, except for two things: one, they still tasted bad raw; and two, they developed blossom-end rot and I couldn’t use them for canning. So even a plum tomato I liked was ultimately not so usable. It did make a brilliant sauce for the freezer, though. 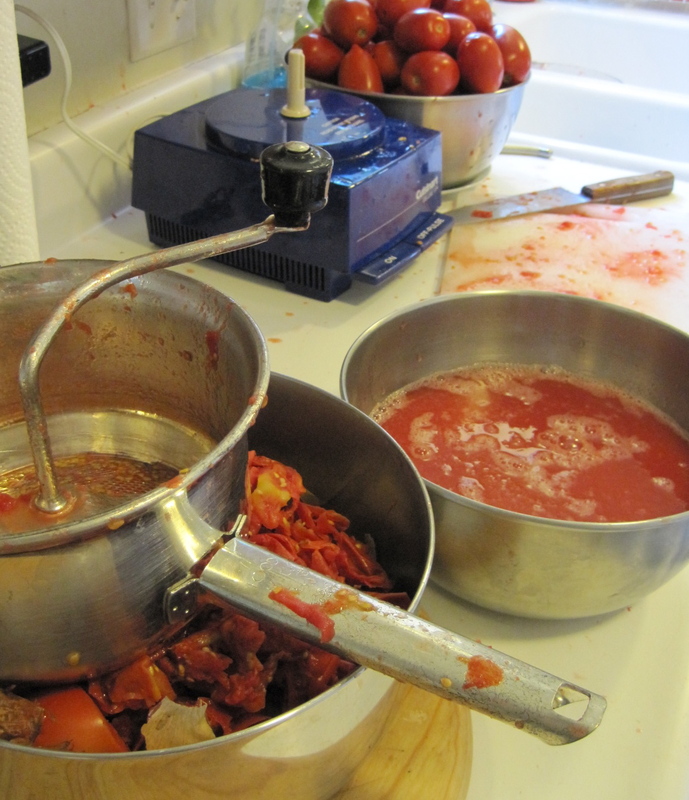 Last year’s salsa was made with a lug of regular, commercial, plum tomatoes from a local farm. I spent hours peeling and coring the little buggers. The salsa came out as to be expected: watery and tasteless. 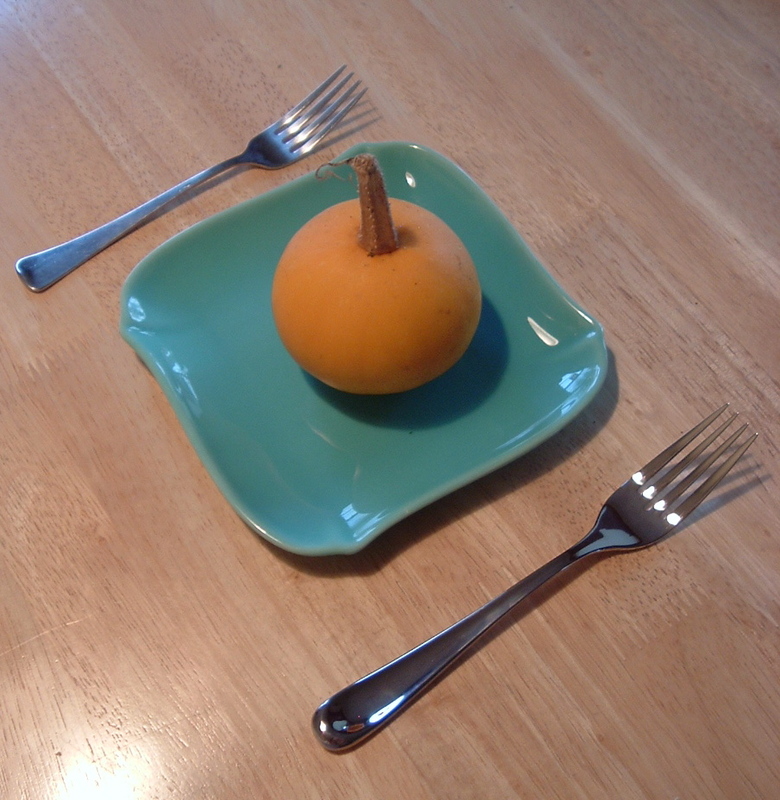 This year, I combatted the plum peril in several ways. 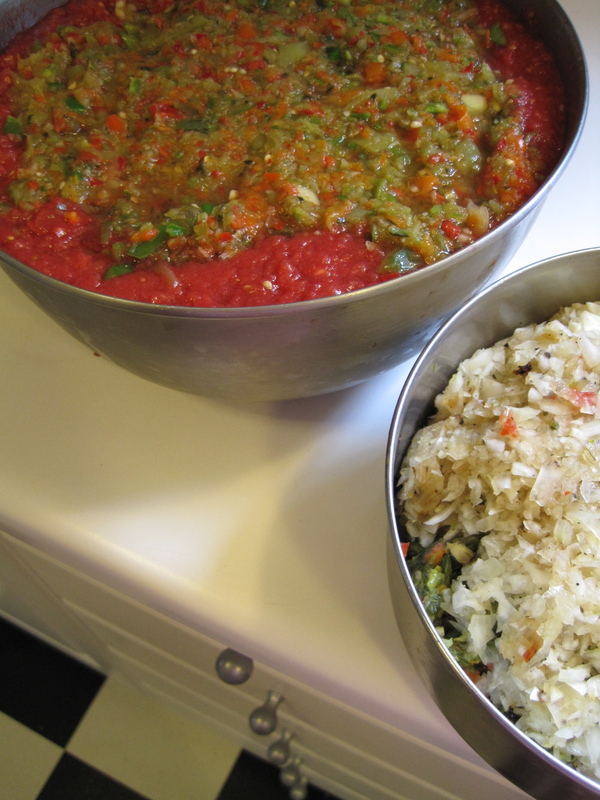 This year’s salsa was much more flavorful, with a melange of pasilla, poblano, ripe and green jalapeños, Hungarian hot and sweet peppers, fresh white onion, and thick tomato sauce. I processed it a bit longer in the hot water bath to ensure the thickness wouldn’t create a problem for food safety. The second tomato technique I used was the slow roast method. 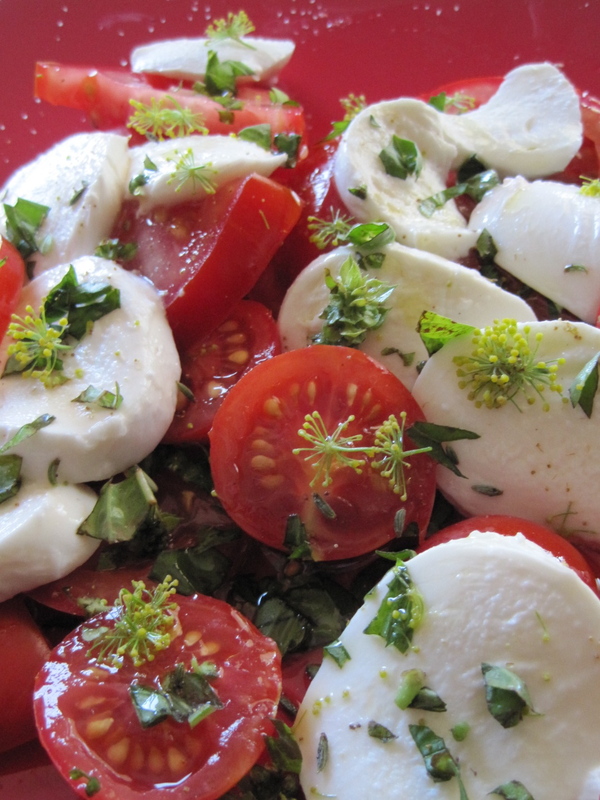 This one is wonderful for leftover tomatoes, even the bland plum tomatoes you have left over from cooking. 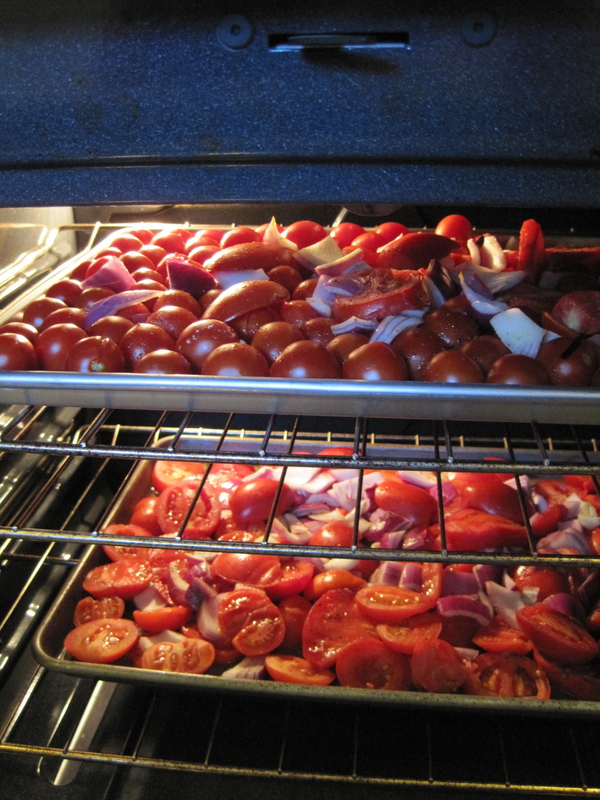 Cut plum tomatoes in slices or halves, then cook tomatoes overnight in a low oven (200 degrees) in roasting pans with thick slices of onion, whole garlic, salt, and a good hit of olive oil. 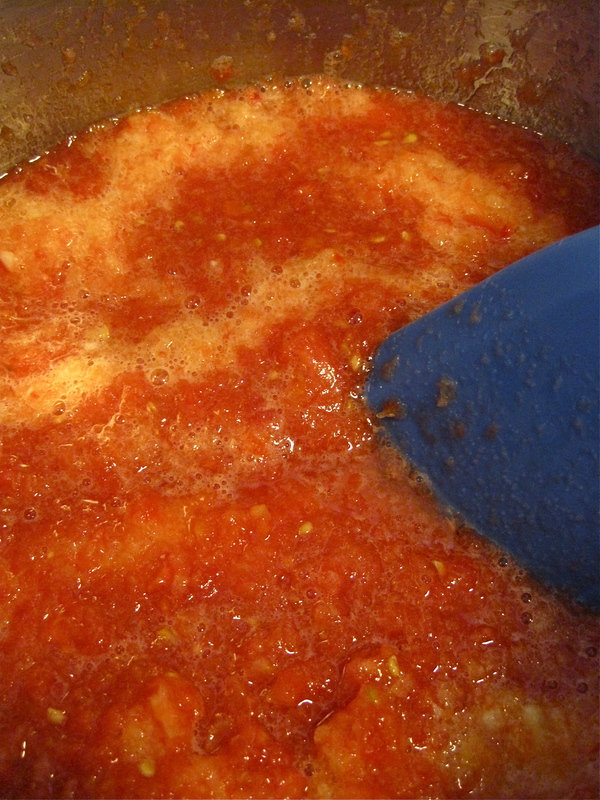 As the tomato liquid cooks away, you’ll be left with a wonderful base for sauce or stewed tomatoes that can be frozen. This year, I processed the whole batch into roasted tomato sauce, but I’ve also left it whole, and frozen it in gallon-sized ziploc bags. Either way, it makes a wonderful winter pasta sauce. 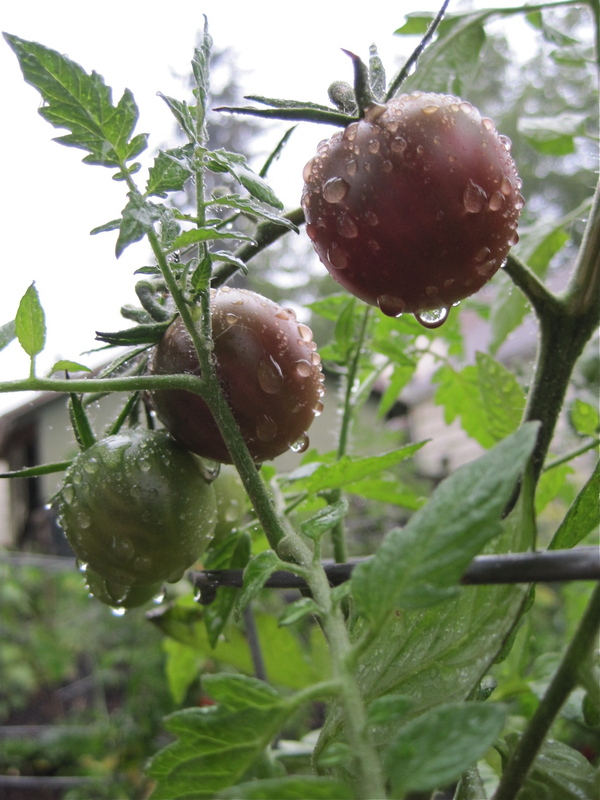 And last…tomato water! I saved all the cores and remaining peels from all my tomato preparations, and froze the tomato water in ice cube trays. 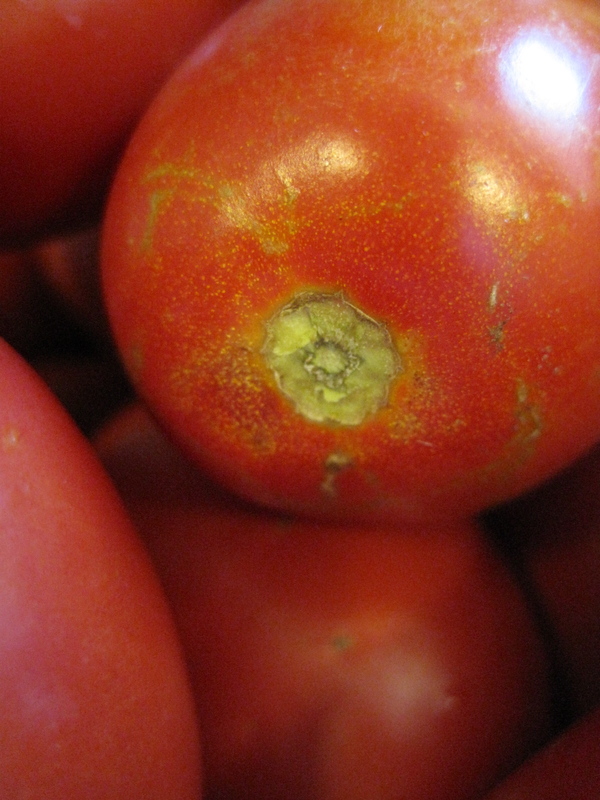 Replace water with tomato water in any soup or pasta recipe, and you’ll add flavor. And that’s what it’s all about. I’ve been busy with the tomato harvest, trying to bottle up the meaty juices of summer before we go back to school next week. I decided to attempt ketchup this year as one of my projects, using what surely absolutely promised to be a quick and easy recipe for blender ketchup, because, you know, it is processed in a blender to speed up the breakdown of the tomato. It still took all day to cook down into an integrated sauce. Hrmph. But it lacks the HFCS/corn syrup double whammy of Heinz 57, and while sweet, it has a stronger spice profile. I shared my experiences in a ketchup demo segment of the Master Food Preserver condiments class last week. Some people in the condiments class felt it tasted almost like a chili sauce (without heat). Everyone seemed to like the flavor. I could have (should have) pushed the final product through a food mill, because the texture isn’t as silky as that of Heinz. 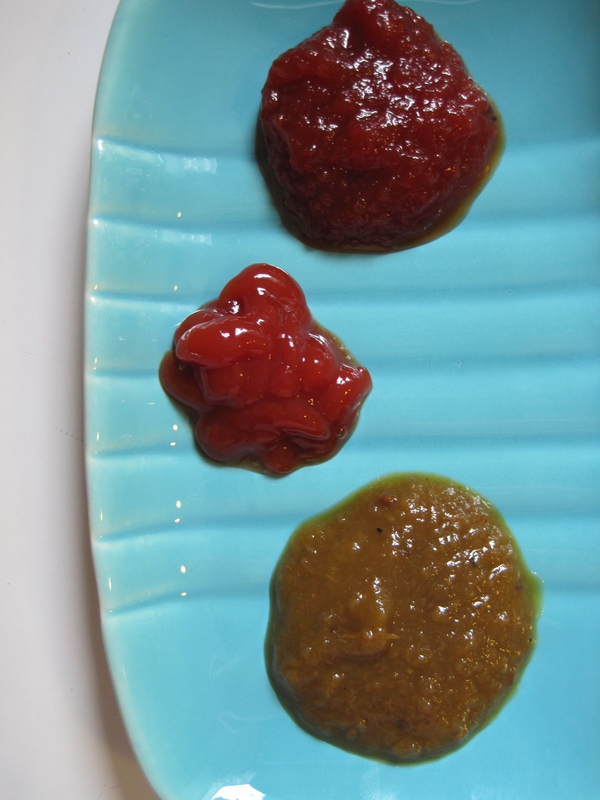 This picture shows a comparison of my ketchup (top), Heinz, and a green tomato ketchup made by a fellow Master Food Preserver. My ketchup lacks the bitterness of the green tomatoes, but also the onion powder heft of the Heinz, a glaring omission, in my view. I used local sweet onions, but there really is no substitute for onion powder when you’re looking for a deeper onion flavor. As you can see below, after sitting for a few minutes, the homemade ketchups leaked, mine more than the other. The onion powder might have helped with thickening, as well. The leaking issue aside, however, the ketchup experiment was fascinating, because it shed some light into older customs of spicing meat. Ketchup once came in many flavors, including rotten fish, mushroom, and walnut. The oldest customs, traced deep into China and Rome, isolate the process of fermenting and pickling fish as the fundamental ketchup tradition. 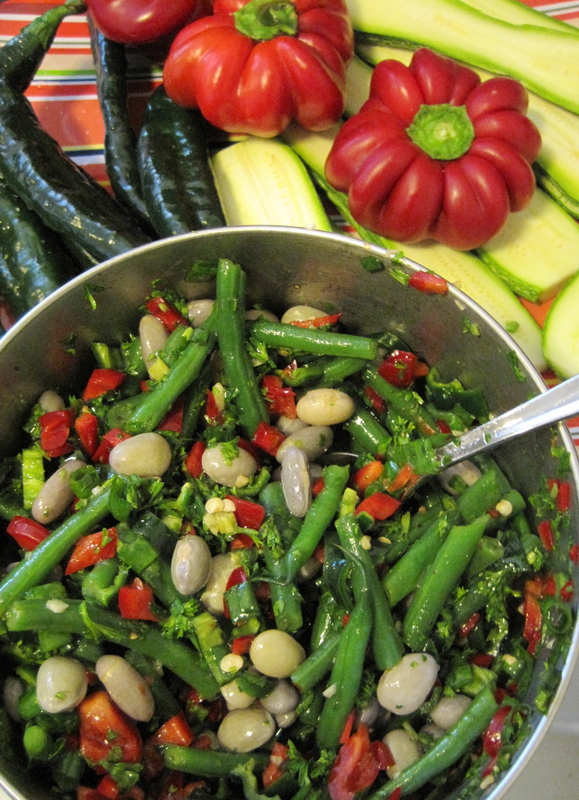 Later adaptations in England and France (and up into the twentieth century), use vegetables and nuts to make a thin sauce. 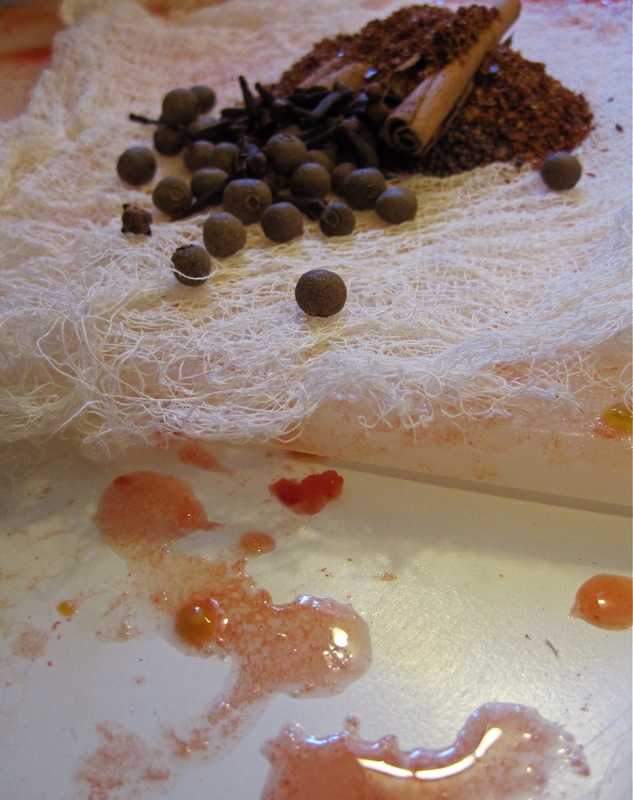 The recipes I have seen for the 18th and 19th century recipes all contain a familiar spice profile: allspice, mace, clove, cinnamon. These spices still define ketchup, but we add more sugar and vinegar. All of the ketchup recipes I found contained a large amount of one spice with a bitter profile. Some featured dried mustard (the one I used, for example) and others celery seed. I substituted brown mustard seed for the mustard powder in mine to cut the bitterness, again trying to mimic Heinz’s very subtle bitter edge. Malcolm Gladwell, in a New Yorker article on ketchup’s complex taste, chalks up the thickness of Heinz 57 to pectin, but I’m not sure that’s the whole story. I cooked my ketchup, made with ripe tomatoes and sugar, for at least 5 hours. I even food-milled and squoze the bejesus out of the fleshy skin peelings. Any pectin that was there would have jelled up my sauce. There’s something else in Heinz that makes it that perfect texture, some sort of commercial stabilizer hidden from spies poring over the label, I suspect. When Heinz moved to ripe tomatoes and increased the percentage of tomato solids, he made ketchup, first and foremost, a potent source of umami. Then he dramatically increased the concentration of vinegar, so that his ketchup had twice the acidity of most other ketchups; now ketchup was sour, another of the fundamental tastes. The post-benzoate ketchups also doubled the concentration of sugar—so now ketchup was also sweet—and all along ketchup had been salty and bitter. These are not trivial issues. Give a baby soup, and then soup with MSG (an amino-acid salt that is pure umami), and the baby will go back for the MSG soup every time, the same way a baby will always prefer water with sugar to water alone. Salt and sugar and umami are primal signals about the food we are eating—about how dense it is in calories, for example, or, in the case of umami, about the presence of proteins and amino acids. What Heinz had done was come up with a condiment that pushed all five of these primal buttons. 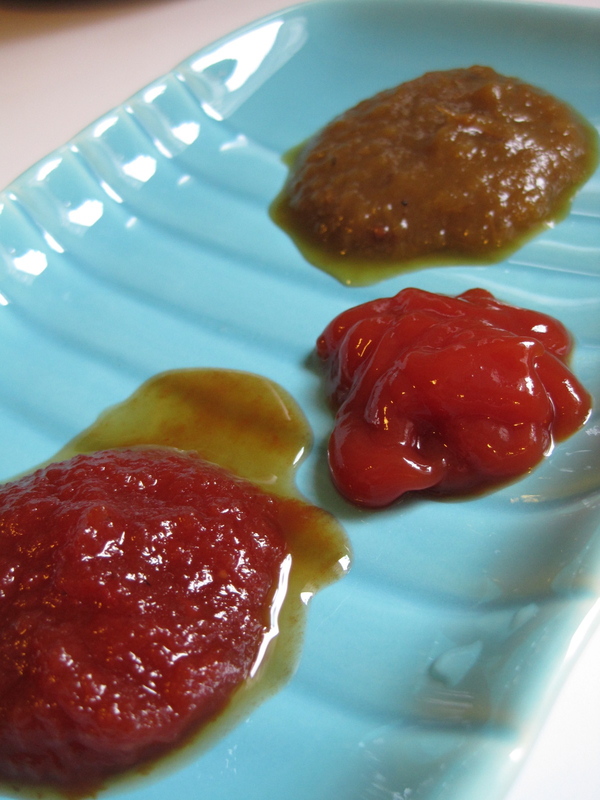 In the article, food scientists compare Heinz 57 to a homemade ketchup, declaring it lacks the perfect flavor profile of Heinz, and is thus less satisfying. I agree that there’s something very well balanced about Heinz, as terrible and HFCS-y as it is. A very sweet condiment, Heinz really does still have a savory component that was lacking in the two homemade ketchups we tried in the class. I wonder if the earlier versions of ketchup — the fish, mushroom, and walnut versions — were getting at something. Each of them, after all, bears a predominantly umami flavor. When we test ketchup plain, it really doesn’t work, because we never eat plain ketchup. For the class, I thought they’d kick me out of the MFP program if I brought in McDonald’s french fries, so I fried up hamburgers and let the students do the comparison with bits of ground beef. The conclusion? Everyone liked my ketchup. In a way, however, I feel as if I pulled the wool over their eyes. The one thing my ketchup was lacking was umami. Adding meat, then, made the other flavors seem perfectly balanced. My ketchup suddenly became more spicy than Heinz, with flavors that complimented the meat instead of being too jarringly, well, different than what we’re used to. I was pleasantly surprised, and suddenly, the project seemed to have more value that I had thought. I’m going to do more ketchup tests through the winter, and will report back. If you’re local and interested in condiment-making, be sure to check out the repeat of our condiment class on October 16. Details to the right. I’d love to see you there! Don’t risk the health of your family to save a few bucks. 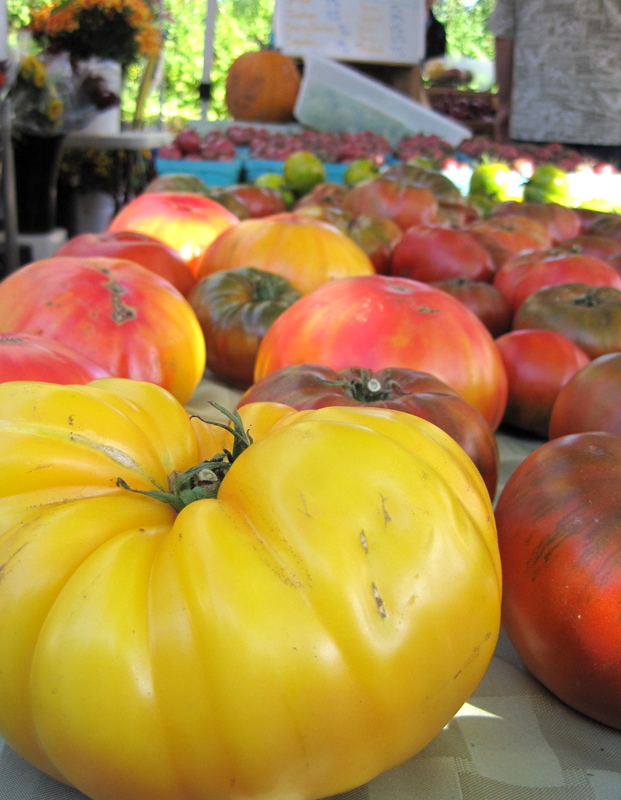 Check out the National Center for Home Food Preservation’s webpage on how to can tomatoes for the most up-to-date information on canning those beauties safely. It discusses why you need to add lemon juice (tomatoes are right on the borderline for acid content, which can make long-term shelf storage unsafe), why you need to boil the jars, and how to process in easy-to-follow instructions. What it doesn’t explain is how to keep your kitchen free of tomato juice and seeds splattered all over the place. I’m still working that one out myself. And if you live in Oregon, don’t forget to give the Master Food Preservation hotline a call if you have a question about preservation or food safety. We’re there to help! The information is listed to the right. Give us a call before you start for best results. You know what this means, don’t you? The rainy season has begun. We had our first storm the other day, and this week promises to be a gorgeous Indian summer, but the mornings are crisp and that smoky, wild feeling rides the night air. I picked a very decent crop of tomatillos the other day and put up some salsa; this week, I’ll turn my attention to those tomatoes now at risk of cracking in the wet weather. And then what, fall? Fall. Fall!